Two of the best-selling readers in today’s market are Amazon’s Kindle and Apple’s iPad. While both are ground breaking and very cool technology, they both have their own pros and cons for being used as a reading device. So which one is a better reader for the bookworm within each of us? Every person has different reading habits, and each device can be used in different ways to fit into those habits (or even create new ones). 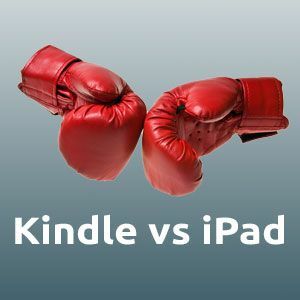 Read on to find out which is the better reader – Kindle vs iPad! On first glance the differences in the display and size between the two are obvious. The iPad has a full-color, backlit screen and has a 9.7″ diagonal viewing area. The Kindle uses a low-power yet high contrast E Ink-patented technology and has a 6″ diagonal. iPad’s screen is bright when it is dark out, but does have some readability problems in the daylight. The shiny LCD screen reflects light and images (and fingerprints) like nobody’s business, making reading in daylight a challenge. In contrast, the Kindle works best in bright light. However when it is dark out you will need a light source to read anything since there is no internal light display. How easy it is to read on either display is up to interpretation but generally speaking the E Ink is regarded as the most easy to read – almost as easy as real paper. This helps reduce eye strain when sitting for a long session of reading. Of course the iPad reigns supreme for interactive and full-color content. The E Ink display of the Kindle just doesn’t display any of it (literally). The iPad is over twice as heavy as the Kindle. Carrying around the iPad can be a pain, with some men taking to a “Murse” to carry their gadget around. 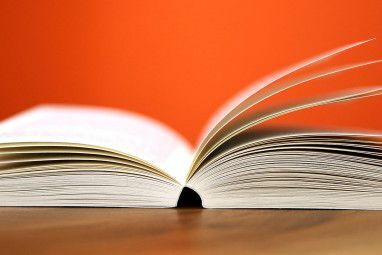 This weight is significantly noticable over time and depending on how much time you spend reading, it could be a major consideration. The Kindle on the other hand is very lightweight and durable. It can be slipped into a laptop bag with no problems or even stored in an oversized pocket (such as in a jacket). I think the Kindle wins out in this regard. Apple’s legendary length of useful battery time is well known and the iPad is no exception. Eight to 10 hours of “touch time” is not unheard of and as far as gadgets go is very respectable. However the Kindle beats the pants off of the iPad as a reader. Since it’s display is E Ink, the only power used is when you are changing the text such as when you are turning pages. That means that you can have up to 2 weeks of reading time on the Kindle. One thing that is very important to understand is how the whole ecosystem of each platform works. Both on the Kindle or iPad, you are using their chosen platform to obtain and read books. On the Kindle, you are ‘locked in’ to Amazon’s store. There are some workarounds to get your free books on the device, but unless you read only classics which are our of their copyright then you are stuck with Amazon for rights management. For the iPad, you actually do have more options at hand. Amazon has a Kindle App available for iOS, giving you the ability to read books both on the iPad and many other platforms (including the Kindle). 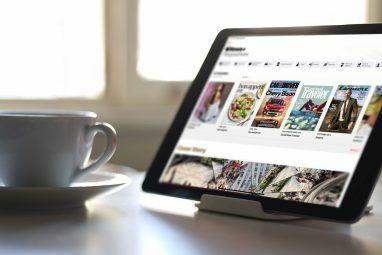 They also have their own iBook app, and anyone can really create an eReader for the platform (such as the Nook Reader). This is a big detractor for the Kindle and the iPad as an eReader (in this author’s opinion). Once you purchase a Kindle/iBook/Nook book, you are essentially ‘stuck’ with it on that platform. You can’t extract them out, removing the Digital Rights Management (DRM) should you choose another platform at a later date. The iPad is definitely a winner here. Since you have more of a choice of readers available, it does give you some flexibility in ‘future proofing’ your digital library. It also allows you access to the enormous iPad library of apps, whereas the Kindle has a miniscule collection of a few games (and it not even designed for this type of computing). Finally we look at the cost of the two. The Kindle 3 (Wifi only) comes in at a very reasonable $139, and the cheapest iPad 2 at $499. 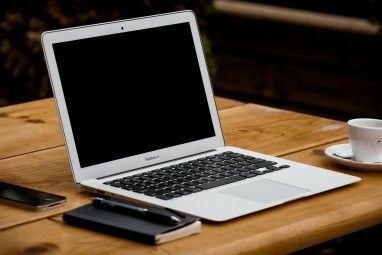 If you are willing to buy used equipment, you can push the price down on both platforms, putting these two eReaders within the reach of many consumers. For what you get, the iPad is certainly a better value with many thousands of apps available, but if you just want to use it to read books then it is most definitely overkill. So Which is a Better Reader? When you stack up Kindle vs iPad like this, I think the Kindle wins out as the better dedicated reader. If you are a voracious consumer of books, the available apps on the iPad are a distraction and you wouldn’t maximize your investment in the platform. The variety of conditions you are able to read in on the Kindle, including broad daylight, also make it a preferred choice if you are at the beach or other sunny place where reading tends to occur. The price is the final clincher. Not having to worry about replacing a $500 device vs a $150 device is also a consideration. Disgree with the above analysis? Make sure to let us know the error of our ways in the comments below! I have both an iPad 2 and a Kindle. I like them both very much. I think that the Kindle is better for reading adult books where color pictures isn't much of an issue (just black text like a regular book). The iPad is better for magazines and illustrated children's books. I can honestly say that the Kindle is the best purchase I ever made. It feels right, it looks right and even though I thought I was an avid reader, I have read more since buying it. Sometimes it's important to not be a Jack of all trades, but to be a master of one. NY Times $20/ month on iPad. Is it even available for Kindle? The Economist is available for iPad. genuine question (so not tech literate) is there a nook too, i thought it was ipad and kindle, if so, what is nook , what does it do and made by who. kindle is borrrrrrrrrrrrrrrrrrrrrrrrrrrrrrrrrrrrrrrrrrr... RING and for schmucks. Ipad is for people with discerning tastes. NEXT!!! ipad is good for things such as magazines or surf the web... if you're reading in bed, you really want to gawk at an illuminated screen? The two don't compare. or surf the web... if you're reading in bed, you really want to gawk at an illuminated screen? The two don't compare. discerning tastes or no personality as per usual apple users? I have a nook for the beach and a ipad 2 for the plane. Live large. The Kindle's built-in 3G connection is what does it for me. All my books, anytime, anywhere. Add that to it being my own personal library which fits into my purse and I'm sold. I love my Kindle for all the reasons mentioned above. Just the fact that it keeps my plae in all the books I am reading is reason enough to use it. I gonna buy kindle after read this article! I agree with Bobjones, my Nook Color is fantastic! Not only can I read B&N cloud-based books, but I've uploaded all of my Google ebooks to my Nook via Adobe Digital Editions. I've also uploaded ebooks from other sources such as Baen Webscriptions. Moreover, I have the preview hack of Android's Honeycomb on a micro SD card which operates very nicely. In my opinion, the Nook Color is much more flexible. Interesting. Been wanting to get a Nook color to play with Android! I hear ya babe. Couldn't agree more. Hard to compare the two? They were just compared as e-book devices, which both can do and one was the winner. You own the IPAiD don't you? It's hard to compare the two cause it's pretty much apple to oranges. That's just how it is though. It's not even a contest. If you are going to do any serious reading an E-Ink device is the only way to go--your eyes will thank you. Hopefully Samsung will do something with Liquavista asap and get out some devices that can do both but for now. . . it's E-Ink all the way!